If you choose this selection you will automatically be signed in on your next visit. 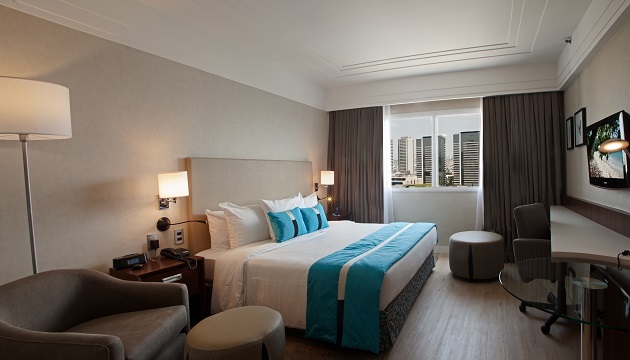 Centrally located in Barueri’s commercial district, Radisson Hotel Alphaville is close to both small businesses and major corporations like Adidas and BP. 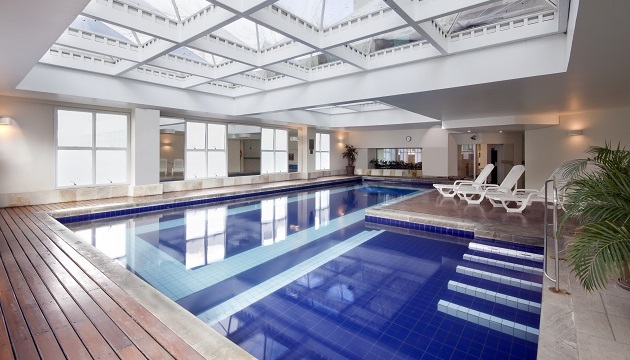 Our hotel is also about an hour west of São Paulo-Guarulhos International Airport (GRU), and we provide taxi service to get you wherever you need to go. However, the bustling business district is very walkable, making it easy to access all the restaurants and retailers at the AlphaShopping or Iguatemi Alphaville shopping centers. 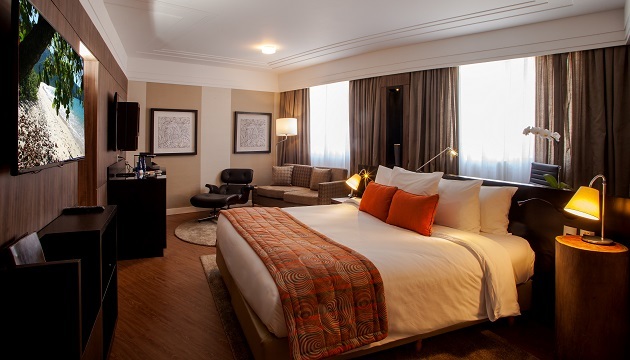 After a long day of client meetings, curl up in a plush bed knowing that breakfast will be waiting the next morning in our on-site Tulipa Restaurant. With Tulipa Restaurant on site, you don’t have to worry about searching for a good meal. One of the city’s finest restaurants, Tulipa offers a free breakfast buffet to all hotel guests and remains open for lunch and dinner. Our Lobby Bar is the perfect spot for after-dinner drinks and casual meetings with clients. We also offer a 24-hour room service menu so you can dine privately in your room or suite. Museu da Casa Brasileira – The country’s first museum devoted entirely to architecture and design, Museu da Casa Brasileira showcases Brazilian furniture dating back to the 1600s. Make the 23-kilometer drive on Sunday for free live music. Memorial da América Latina – Located about 25 kilometers from the hotel, this memorial was designed by Brazilian architect Oscar Niemeyer to honor Latin America’s rich history, which has influenced the nation’s political, economic and social culture. Parque do Ibirapuera – About 26 kilometers west of the hotel, this park provides a breathtaking venue for walking, jogging, biking or simply sitting. Bring a ball to play football on the fields around the park, or pack a picnic for a relaxing lunch. Be sure to check the online event schedule for outdoor concerts and shows. For your next corporate event, choose the Radisson in beautiful Barueri, where our flexible meeting facilities can accommodate up to 250 guests. Located less than 50 kilometers from São Paulo-Guarulhos International Airport (GRU), our venue is ideal for business luncheons, corporate training sessions and regal wedding receptions on the outskirts of São Paulo. Our state-of-the-art audiovisual equipment and free Wi-Fi ensure your event is flawless from start to finish. Learn more about our meeting rooms. © 2019 Radisson. All rights reserved.